In this brief Q&A, we talk to Jennifer from Wockenfuss Candies, one of the oldest family owned and operated candy companies in Baltimore, Maryland about her year-long experience as a Managed Marketing Services subscriber. Q: Can you describe your digital marketing efforts prior to signing up for Managed Marketing Services (MMS)? A: Prior to working with SnapRetail for our digital marketing, I would do posts periodically when I had extra time. I didn’t have the time to make it a priority although I understood the importance and wanted to have a stronger social media presence. Q: What problems were your frequently running in to prior to MMS? A: When creating posts previously, I would struggle with relevance. I wasn’t sure it was more important to simply to engage people or if all posts needed to relate directly to my business. Q: How has MMS saved you time? A: MMS has saved me some time, but my issue was more that I didn’t have any extra time to manage our social media properly so I would not do anything at all. Q: How has MMS driven social engagement, store traffic, or sales? A: Unfortunately, retail sales in malls are on a decline. We’re in a difficult position with our locations in malls but our web sales are definitely growing. MMS drastically increased our social engagement which I believe has led to the increase in web sales. 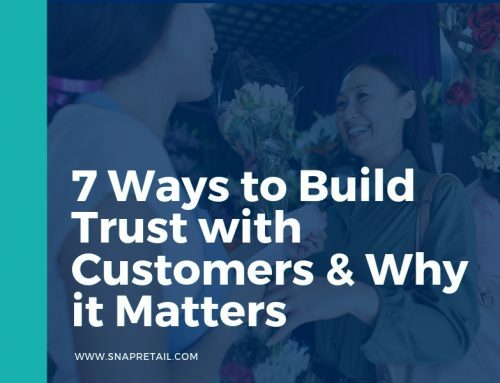 Q: Do you have a favorite social post that SnapRetail has created or a post that generated a lot of customer response? 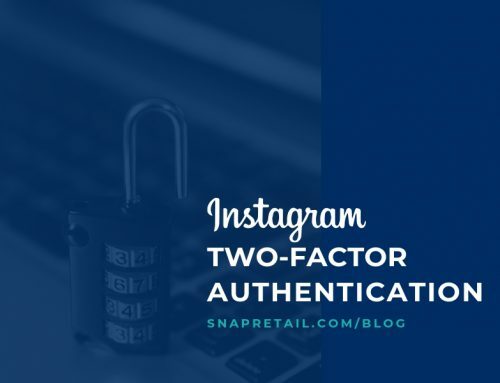 A: Two posts stand out as favorites: highlighting a customer review and a poll asking customers which was their favorite flavor. Q: Some businesses we talk to are hesitant to start Managed Marketing Services, because they do not think we will know their business well enough. Can you describe your early experience with this service and speak to these concerns? A: I was only planning on subscribing to MMS for the 4th quarter (busiest time for my business). 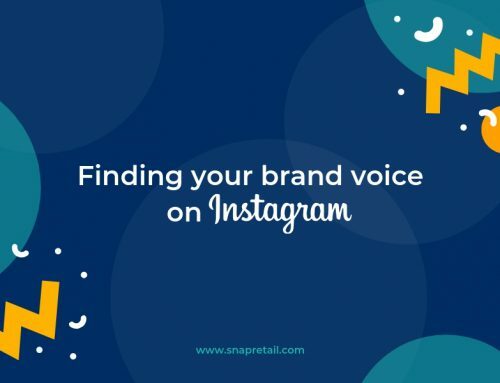 I was hoping to learn tips from Snap’s posts on relevance, creativity and keeping the posts fresh and use this information to create my own posts. 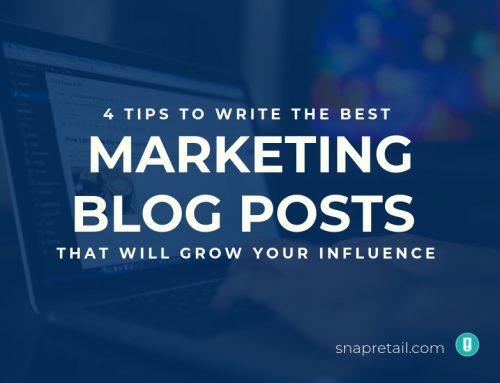 After all, it’s not hard to write one or two sentences about your business that you love! However, I was blown away by the creativity and brand marketing of the MMS. I have never considered discontinuing the service I thought was only temporary. It takes very little time each month to create a list of ideas for the MMS to post about. I’ve even learned to keep a running list so it’s even easier to submit suggestions. After a few short months, they were creating posts on their own without me having to provide as much information. I was most surprised to experience the excitement a fresh perspective can have for my business, something I overlook in the day to day dealings of running a company. Q: Would you recommend Managed Marketing Services with SnapRetail to other businesses? A: I would highly recommend the MMS to any business! Interested in how Managed Marketing Services can help you? 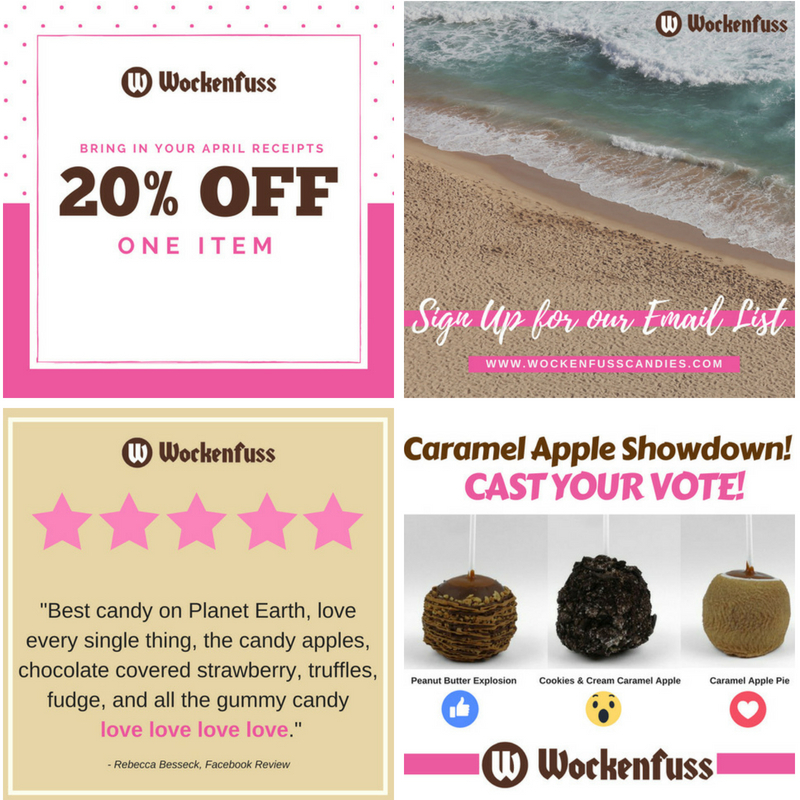 Follow Wockenfuss Candies on Facebook, Twitter, and Pinterest.